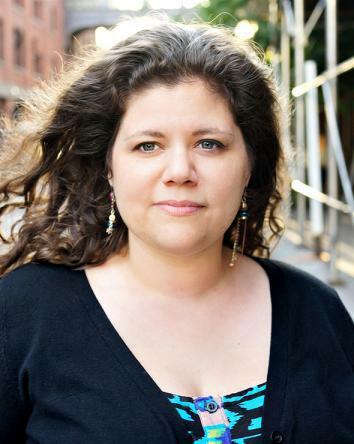 Rainbow Rowell’s new novel for grown-ups, and the power of good books for readers of any age. I’ll confess: I ugly-cried my way through Eleanor & Park, Rainbow Rowell’s young-adult novel about a star-crossed pair of teen outsiders who fall in love in 1980s Omaha. Though I sped through it in a weekend, I had to take breaks to wipe my eyes and blow my nose, so racked was I at times with sobs. The novel, rich with humor and actualized characters and empathy, is one of those books that a lot of people just seem to feel, as if on some basic human level that goes beyond reading. That’s what it was for me, as my tears confirmed. Of course, I am one of those adults who loves reading YA, especially the “more sophisticated than ever” “realistic fiction” against which Ruth Graham positioned herself in her recent piece for Slate, which referred specifically to Eleanor & Park, among other books. I do so shamelessly, without regard for the age-based embarrassment Graham suggests my fondness for the category should make me feel. When I was a kid, I read YA and I read “adult books”; today, I still read plenty of both. But there’s a special place in my heart for books about and intended for teens (though publishers would be the last to try to prevent adults from reading them). So, after I finished Eleanor & Park, I tore through Rowell’s third book, Fangirl, a YA novel that skews slightly older as a coming-of-age story about a college student who writes fanfiction. Rowell, though, is not only a YA writer: Her first book, Attachments, is the story of two grown women and the IT guy, who, tasked with monitoring their email, falls in love with one of them. Now her new novel, Landline, returns to full-blown adult territory. Given the recent entry in the endless discussion over what adults should and should not be reading, I was curious to see how Landline compared to Eleanor & Park. As an adult book, would it truly challenge me more? Would there be a discernible difference in sophistication, in my emotional takeaway, or in my sheer enjoyment? How much does the category of YA matter to readers, beyond where something gets placed in a bookstore? In Landline, 37-year-old Georgie McCool—TV writer, wife, and mom of two—is facing a very grown-up dilemma: She’s got a chance to make her dream of creating her own show come true, but if she does, it could come at the cost of her 14-year marriage. Neal is the stay-at-home dad to her working mom, and for as long as they’ve been together Georgie has felt guilty over his unhappiness with her ambitions and their life in L.A. But unlike Neal, Georgie has known what she wanted since college, and while part of what she’s always wanted has been him, the other part is her career. Why should she have to give that up? It all comes to a head at Christmas, when their planned trip to spend the holidays with Neal’s family in Nebraska conflicts with a sudden opportunity related to the show. Georgie decides to stay in L.A., sending their daughters off with Neal. Then, thanks to a dead cellphone, the complications of time zones and her work, and Neal’s frustration, she can’t seem to get in touch with him at all. Georgie begins to fear her marriage is in serious trouble, and she regresses: crashing with her mom and stepdad for the holidays, wearing Neal’s old T-shirt for days, commiserating with her 18-year-old sister, Heather. While the device of the telephone occasionally seems a little bit clunky—maybe it’s just all that rotary dialing—the way it allows Rowell to bend time back and forth has plenty of interesting ramifications, and makes sense as a technique for an author comfortable writing for and about teens and adults. The show Georgie’s been developing since college is called Passing Time, and the passage of time is key to Landline. Along with the business about the magic phone, Rowell writes numerous flashback scenes, allowing two Georgies to exist in tandem with the two Neals: the fresh twentysomething versions just starting out, and the married, love-worn parents heading into their 40s. This structure allows adult Georgie to revisit her younger self, a technique that doesn’t occur in YA, but which, notably, heightens the experience of reading YA as an adult. The scenes of Neal and Georgie’s first confusing, exciting steps toward love—their awkward conversations and even more awkward make-out sessions—are enjoyable in a way redolent of reading YA. It’s wistfully evocative to pair those scenes with the more stately (and sometimes exhausted) aspects of adult life, and, not least, the comfort and trust a couple grows to place in one another. Indeed, the Neal of the past who “still looked at Georgie like she was something brand-new and supernatural,” though he’s 22, reads somewhat like a YA teen: lacking any foreknowledge of his adult life, his emotions raw and felt for the first time. Georgie, from her more experienced perspective, worries sagely that “just because you love someone, that doesn’t mean your lives will fit together.” But young Neal brings his own wisdom to the relationship, and an Eleanor & Park–esque faith that love can solve, or at least help ameliorate, the inevitable difficulties of life. The difference between this “adult” book and Rowell’s YA books is not one of content, really, or even quality of prose. There’s no overt difference in the reading levels of Eleanor & Park and Landline; both are plot-driven, with a lightness despite their emotional heft, and you’ll zip through either in a night or two. Neither offers an experience like that of reading, say, James Joyce. The difference between them is one of emphasis, context, and the way the books are marketed, not which is more challenging. I didn’t ugly-cry my way through Landline. But the eliciting of tears doesn’t equal “less literary” or “simple.” If there is a distinction with regard to which is more “challenging,” perhaps it’s that YA challenges in a way that can be more emotional than intellectual, more close and heartfelt than it is analytically rigorous, at least to an adult reader. The thing that had me tearing up repeatedly over Eleanor & Park, aside from the fact that I’m a sucker for a good love story, was how unfair—that quintessentially teenage word—the situation seemed, just because the characters were young. As in all teenage drama, the stakes felt so high, but the characters’ levels of autonomy was so low, not because of intelligence or desire or anything they could change, but because of their age. Adulthood, comparatively, generally brings the freedom to make one’s own decisions, good or bad—decisions that aren’t easy, necessarily, and certainly have consequences, but are free from that particularly intense teenage feeling of being trapped in a life, a school, a home, a situation. Sixteen-year-old Eleanor doesn’t have money or a driver’s license; 37-year-old Georgie has credit cards and can drive to the airport and get on a plane, if she wants to. Still, we adults keenly remember that feeling of being powerless teenagers (or we should), and as much as we grow up, we often still feel the vestiges of it; we, too, can feel trapped as our lives unfold in ways we wouldn’t have planned. If there is a distinction with regard to which is more “challenging,” perhaps it’s that YA challenges in a way that can be more emotional than intellectual, more close and heartfelt than it is analytically rigorous. After all, one can hardly be angry with Eleanor. It’s much easier to feel impatient with an adult main character who has money and a relatively privileged life struggling with midlife issues of contentment and regressing, as it were, to an earlier state of life. But this is exactly what makes Georgie so real. We don’t grow out of having issues, struggles, concerns, dissatisfactions. We don’t ever reach a point where we check the box: Life: figured out now! Marriage: happy! Done! Whether in adult or YA fiction, Rowell doesn’t shrink from the big, life-long questions: What do we want? Who do we love and why? What does it mean to be a satisfied human? How can we try? These aren’t questions confined to one category or another, any more than they’re confined to a particular age group. They’re questions worth asking again and again over the course of our lives—they’re questions at the heart of great YA books, just as they’re at the heart of great adult literature. In “Against YA,” Ruth Graham asserts that YA novels have universally satisfying endings, complaining that such endings are too easy on a reader. (For the record, Eleanor & Park’s open-ended conclusion is far more brutal than Landline’s ending.) But a focus on the endings is the wrong one when you’re reading a book of Rowell’s. What matters most are the middles, which she packs with thoughtful dissections of how we live today, reflections upon the many ways in which we can love and connect as humans, and tacit reassurances of the validity of our feelings regardless of our particular experiences. While affirming, the books are also challenging, because most of all they present an argument for an examined life. Nothing is assumed. Everything is considered. And readers are encouraged, in reading, to do the same for themselves. If you’re not too ashamed by the section of the bookstore in which a novel’s been shelved, you can experience these discussions in as many ways as possible, as you, regardless of your age, keep growing up for the rest of your life. Landline by Rainbow Rowell. St. Martin’s Press.